The next steps comprised a contract, a survey, and a sea trial – the vagaries and complexities of marine contracts were hitherto unknown to us and we (well, Jamie to be honest) launched into it with gusto – drafts and re-drafts went back and forth over several weeks before a copy, followed by an original was signed and witnessed. Only then could the boat be lifted for the survey. 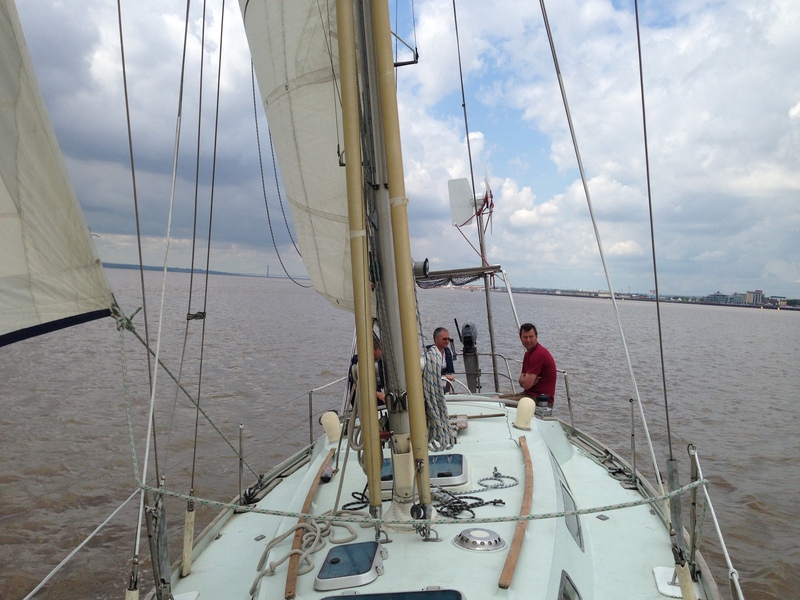 Another sunny day in Hull found us… looking at the hull, and the surveyor made a surprisingly small list of jobs to be done – new cutlass bearing, new faceplate to the head outflow, new anode – before the most recent sunny day in Hull saw us out on the water for the first time! 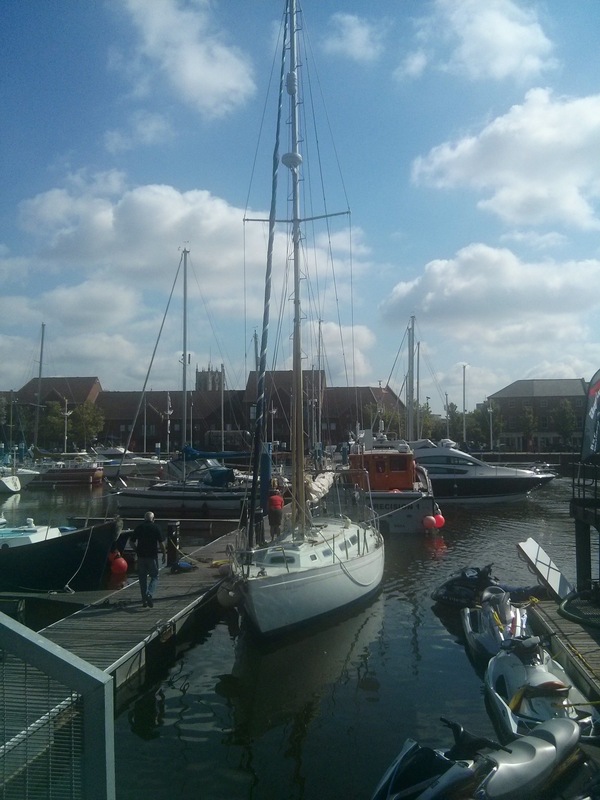 Even so early in the process – before first sailing on her – it has been a huge learning curve. What’s this part called? What does it do? How does it work? Isn’t drilling a hole in the hull a bad thing? (not always) etc. Two people with very little experience of anything nautical have had a whole new marine world opened up to them, and there is still so far to go! Previous Post1. 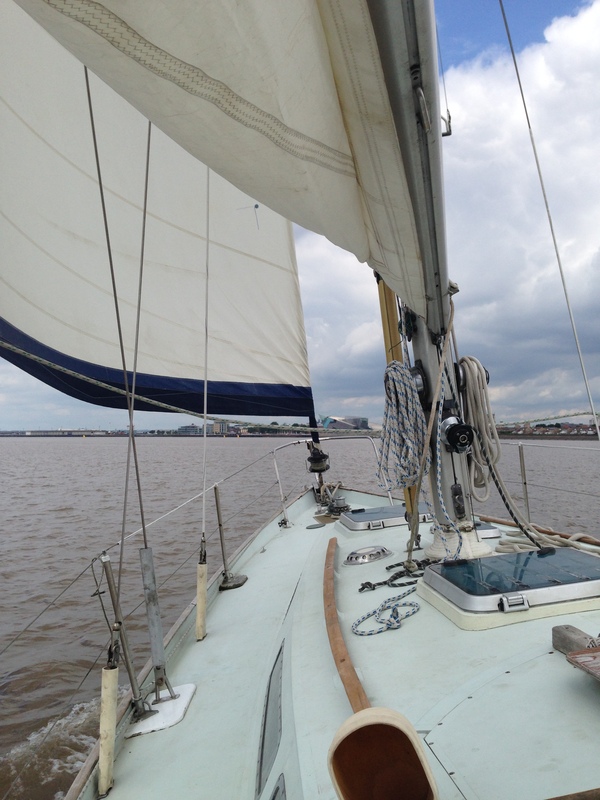 Sea trial tomorrow..
Next Post3. So, nearly a year on since our last post… where are we with our plans, and what have we been up to?